Frequently Asked Questions on our cat sitting service and behavioural therapy service. Don't hesitate to talk to us if you can't find your question here. Q: Are you a cattery? No, we are not a cattery. We provide in-house cat sitting service in the comfort of your own home. So that your cat(s) don't have to be transported, it saves on costs and hassles and your cat(s) will probably be happier since cats generally don't like to be moved around too much and they usually hate the carrier. Q: How does this cat sitting thing work? You can send me an email, so that we can set up an appointment. This 'Meet-and-Greet' appointment is FREE OF CHARGE. I will come in your house to meet you and your cat(s), so that we can all get to know each other better. You can have a look here to see a demonstration. Q: So are you against catteries? Not at all! I think catteries and cat sitting services are very different services and there is a need for both in the market. Basically, it's just like creches and nannies for children, everyone has a preference and their children have different needs. I would love to have my own cattery one day as I strongly believe there is a need for one in certain cases and for certain people (e.g. relocation, moving houses, extended absence, etc). Q: Why are you so expensive? So-and-so can do it for cheaper! Honestly, our price are very competitive for what you get out of the service. Especially if you have two cats or more, it will end up cheaper to hire a sitter than a cattery as we charge per family not per cat. There are indeed some individuals out there on internet classifieds or supermarket notice boards who charge much less. While we are sure they are lovely people but we don't know if they are trained for the job. They are probably not insured and honestly, we are almost certain they are not full time sitters as there is no way one can make a living wage with the price they charge. Also, at Maow Care, what you see is all you pay. The price is clear and there are no hidden charges. With our service, you pay for a professional and friendly service that is fully insured for your peace of mind and the safety, comfort, and happiness of you cat! Q: What is so special about your service then? Maow Care is a serious company, we are committed full time to the job, 24/7 all year round. There is always at least one person on duty every day. When we say 24/7/365, we mean it. We entertain many family emergencies all year round for customers who have to go somewhere immediately, e.g. funerals, early labours, hospitalisations, etc. Your call will be answered in the middle of the night, even when Alice is on holiday to make sure all requests are dealt with as soon as possible. We are also genuine cat lovers; we are involved with a lot of rescue missions regularly. You can read about our company's involvement with charities on our blog and our YouTube channel that Alice has kept since she started this business. Seriousness aside, Alice is also a strong-believer in the charm of family-run businesses. We all know it is much more pleasant to shop in a family-run corner store than a chain convenience store. You can talk to the person on a one-on-one basis and the shopkeeper remembers your favourite items. That's what Alice wants to do with Maow Care. Q: Is it going to be the same sitter every time? 99% of the time, YES! Each family will be assigned a primary sitter and a back-up sitter in case of emergency. We understand cats are very specific creature and it's our top priority to send in the same sitter if possible. But we are committed to provide 24/7 cat sitting service. It is impossible for one sitter to commit to be on call for your cat 24/7/365. 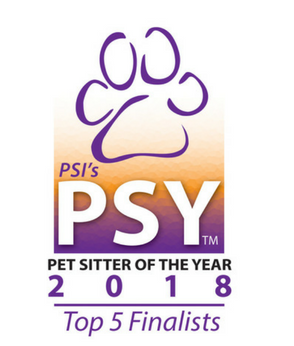 As a result, we always have at least 2 sitters who know about your house and your cats. Q: What happened to that 1%? If your primary sitter is on holiday (we all need a break sometimes!) or sick (we don't get sick very often here, probably due to cat magical healing power! ), or during the Christmas season when it is really busy. If a back-up sitter is sent in, we will let you know before hand to seek your agreement and authorisation before going in your home. Q: How do you know you will do a good job? You can read all the testimonials we received from our customers, follow us on Facebook, you will see Alice interact with our happy customer on daily basis! If you still have doubt, you can contact Alice and she will put you in touch with our existing customers who will be more than happy to share their experience with you. Q: Can you just come in, put down food and charge me less? It depends. We understand that all cats are different and each customer has different needs. We do tailor-made quotations for people who have special requests, e.g. twice a day visit, half hour visit, etc. But as cat lovers who are involved in animal welfare causes, we believe cats will need a minimum amount of attention and care. Because of that we cannot accept request to just put down food and go, as it will be against our belief in cat care as behaviourist and professional sitters. Q: Can you give me a deal? It depends. We are trying very hard to keep our price low. In fact, our price hasn't changed since 2009! We regularly offer discount to people in need, e.g. single parent, unemployed people; we also offer compassion discount to people who are attending funerals or are being hospitalised. We have in the past offered our service for free for people who receive chemotherapy treatment. So do give us a shout, if you are in genuine difficulty, we can always figure something out. Q: What is that about? In short, it is a procedure to 'solve your cat problems'. A lot of people think cats just "have their own ways", but it is not true! Most of the feline behavioural problems are caused by misunderstandings between human and cats. You and your cat (s) can both live better lives if the behavioural problems are modified. A written report will be provided within one week with all the detailed advice given during the consultation, different modification programmes will be set up to follow. Follow up phone calls and emails are included in the fee and are arranged as certain behavioural problems will need weeks or months to be modified. Q: What if it doesn't work? As with all treatments, human and animal (e.g. vets, doctors, chiropractors, psychotherapist, etc). No one can guarantee 100% of the result of the treatment. It will be, in fact, unethical to guarantee anything. The only guarantee Alice can give is she will try her best to help you and your cat(s) to the best of her capacity. You can also refer to the testimonials page to see what other customers say about their experience with the treatment. I do provide consultation to the whole island of Ireland, so it really depends on your location. Please give me a shout to arrange an initial phone call so that I can give you a quotation. Also, if after hearing your story and I realise it is not a behavioural issue, I will be able to refer you in the right direction to seek alternative advice.